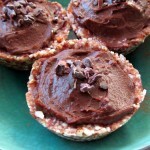 The 4th of July is almost here, and I’m making raw coconut cupcakes to celebrate! 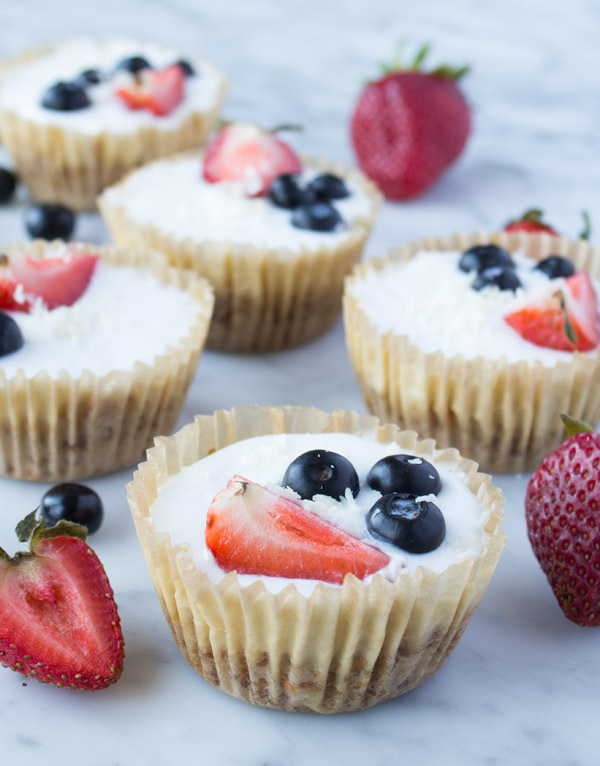 Moist, sweet, decadent, and even healthy, these cupcakes are the perfect accompaniment for fireworks, BBQs, and time spent with the ones you love. We shot this cupcake video over the course of 3 days in New York City. Our first stop was Governor’s Island to capture the Statue of Liberty and Freedom Tower in the background. I had never been there, but I think it would be an amazing place to watch the fireworks from on the 4th. I didn’t want to, but we even filmed in Times Square. I usually avoid that area, but I’m so glad we went. People from every corner of the globe were everywhere I looked, smiling and taking pictures with their families in front of the American flag. Of course, we also filmed right near Ground Zero, and in front of the fire station closest to the towers. Being in that area always makes me emotional; how could it not? I remember having lunch at the restaurant at the very tippy top of one of the towers when I was in middle school. As I looked down on the city below, I could picture myself one day calling New York City my home, being independent, and living my dreams. That day has come, and I am so grateful to this city for being my daily inspiration, and showing me how to recover, find beauty in the unexpected, and live from a place of compassion. To me, Independence day is a celebration of freedom for all, compassion, diversity, and second chances. 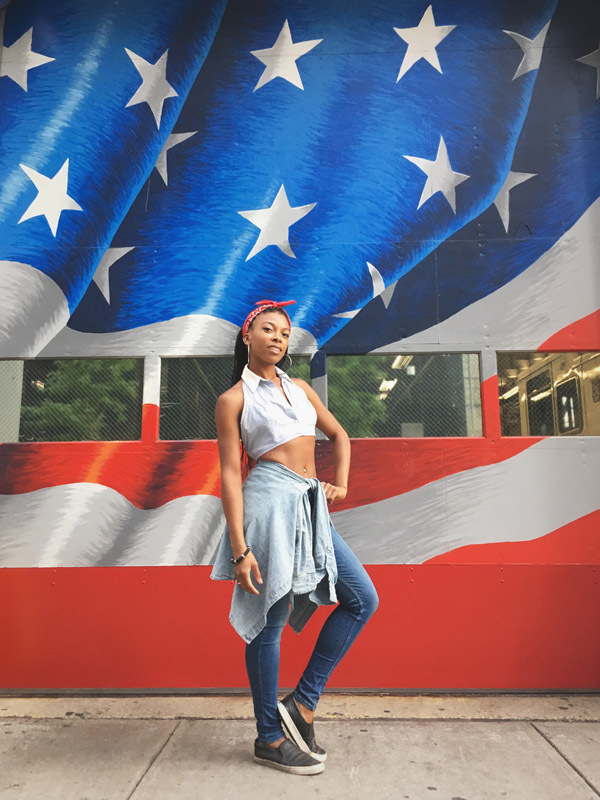 Spread love this 4th of July & everyday! 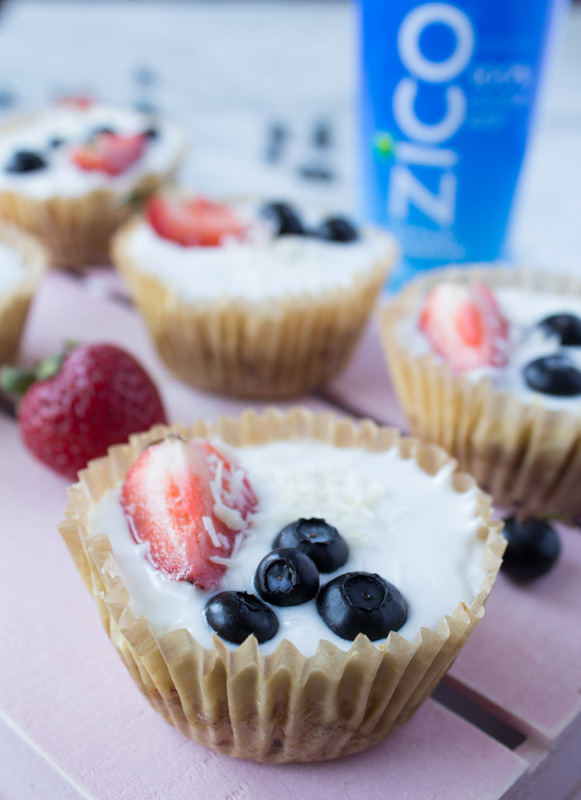 Thank you to ZICO coconut water for sponsoring this blog post and recipe! 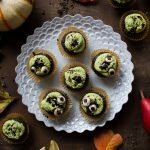 Double this recipe to make 1 dozen cupcakes. Coconut cream is the thickest, richest, fattiest part of coconut milk. Look for cans of coconut cream at the store; Trader Joes has one for under $2––and you can also buy the ZICO there. If you cannot find coconut cream, buy a can of coconut milk (full fat), and set in the refrigerator overnight before using. The coconut cream will settle at the top of the can. Discard the remaining liquid, or use in other recipes. If your dates are dry, soak them in coconut water for 30 minutes before blending. Place raw almonds, mango, and salt in to the food processor, and blend until the almonds are a fine meal. 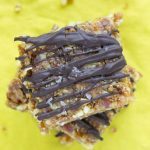 Add the shredded coconut, dates, and ZICO coconut water. Blend to combine; be careful not to over process. The batter should be soft, moist, and slightly sticky with plenty of the coconut texture retained. Scoop the batter into a cupcake tin lined with paper cups, and press firmly to make the cupcake base. Use about ⅓ cup batter per cup. 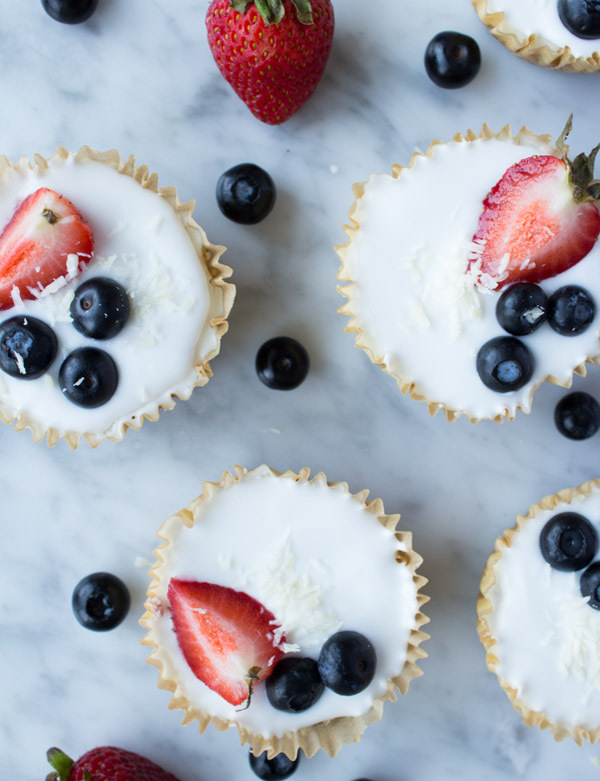 To make the icing place the coconut cream and agave in a mixing bowl, and whisk until creamy. You can also use a hand mixer to create a lighter fluffier coconut icing, if you have one. Ice the cupcakes with about 3 tbsp of the icing for each. 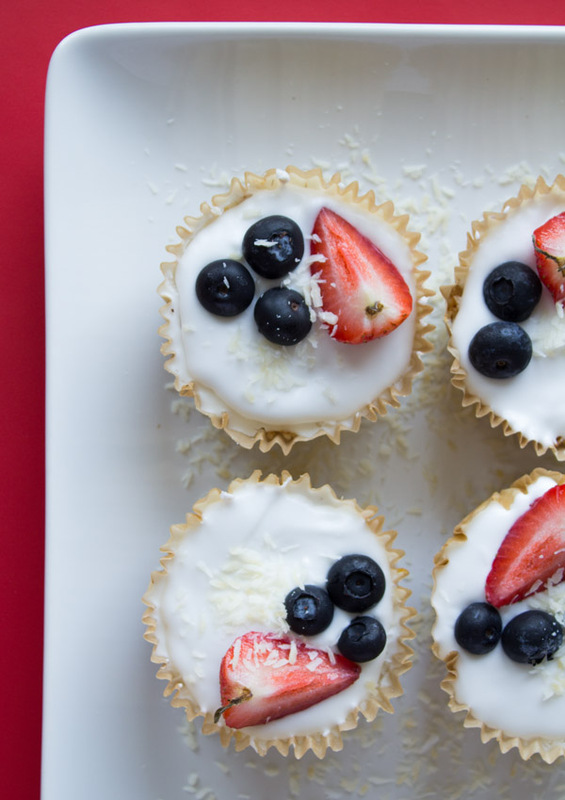 Top with fresh berries, then place in the fridge to allow the icing to set for at least 1 hour.